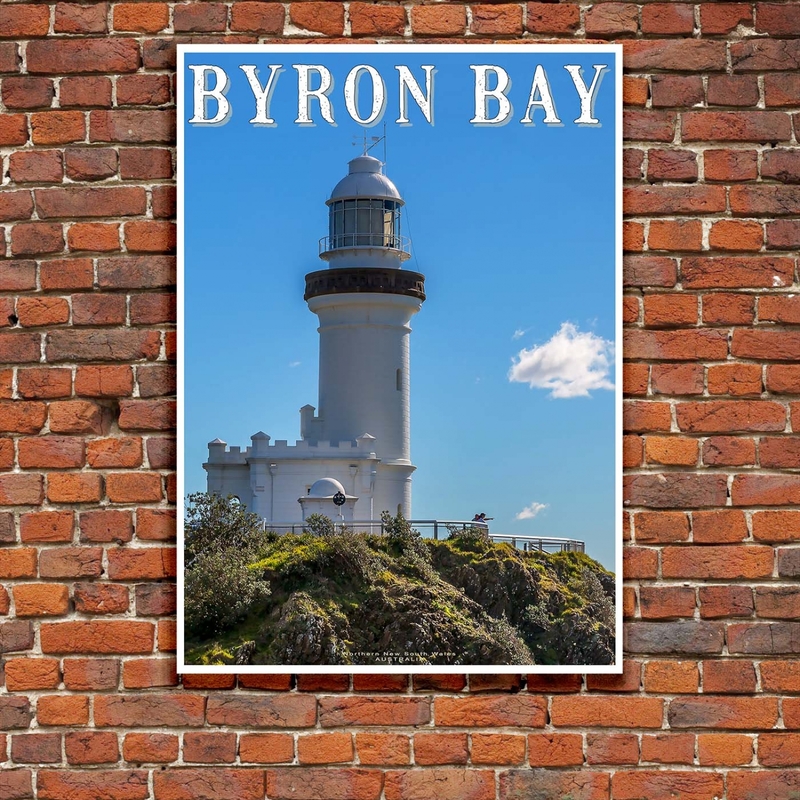 Byron Bay NSW Australia, a truly stunning place to visit. 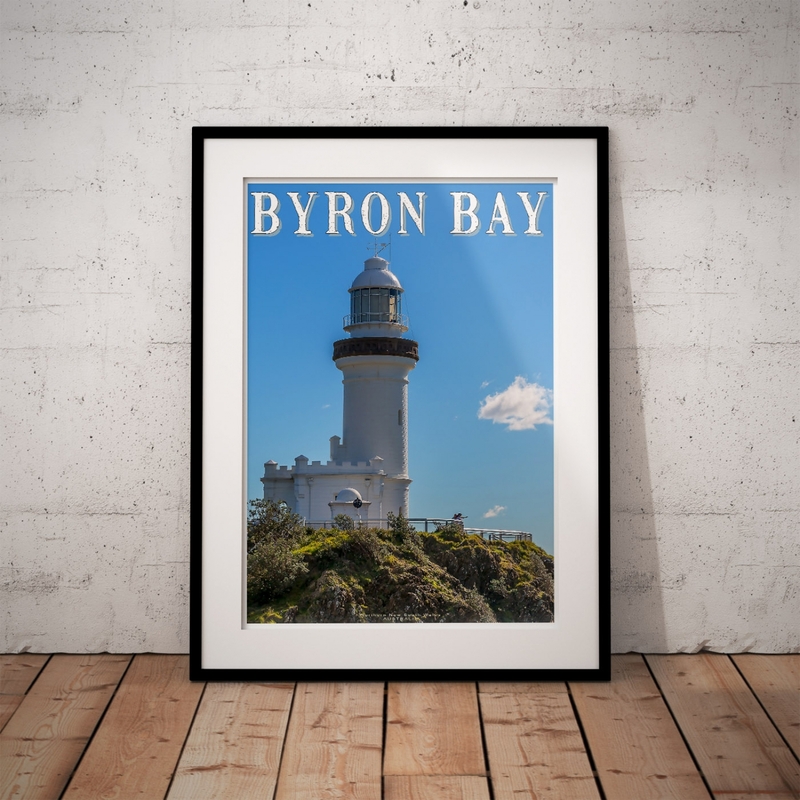 Byron Bay is a coastal town situated in south-eastern Australian in the state of New South Wales. It’s a very popular holiday destination for Australian holiday makers and international tourists. It’s famously known for its beaches, surfing and scuba diving sites. 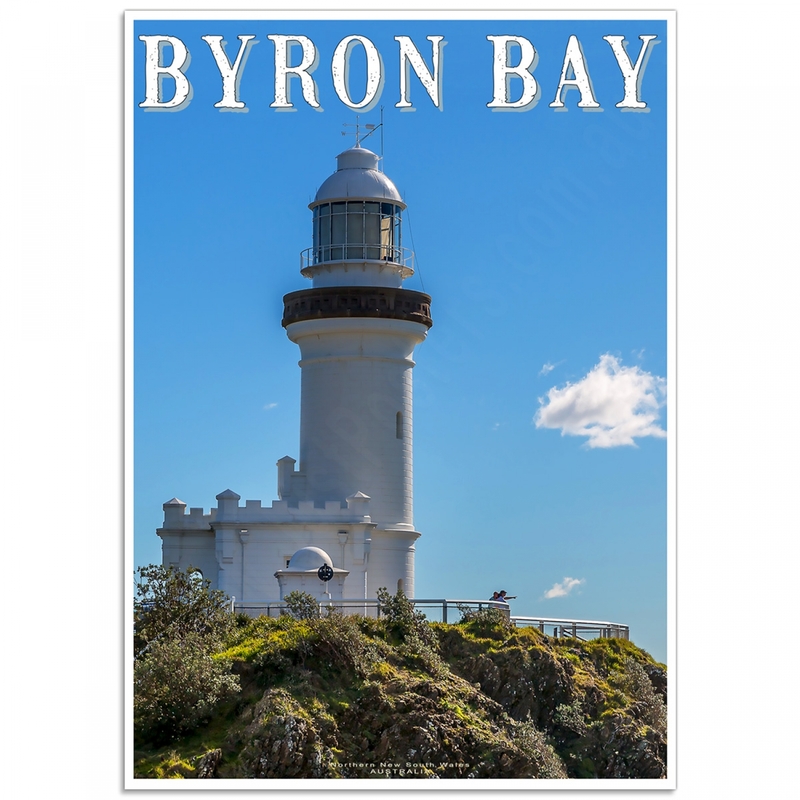 The Cape Byron State Conservation Park is located on a headland with the lighthouse. Humpback whales can be spotted from headland viewpoints such as the Captain Cook between June and November. The relaxed seaside town has lots of accommodation choices, wonderful cafes and restaurants, and fantastic markets. Surrounded by spectacular natural attractions, including World Heritage-listed rainforest in the Byron Bay region's hinterland, the fantastic ancient rainforest of Mount Warning. 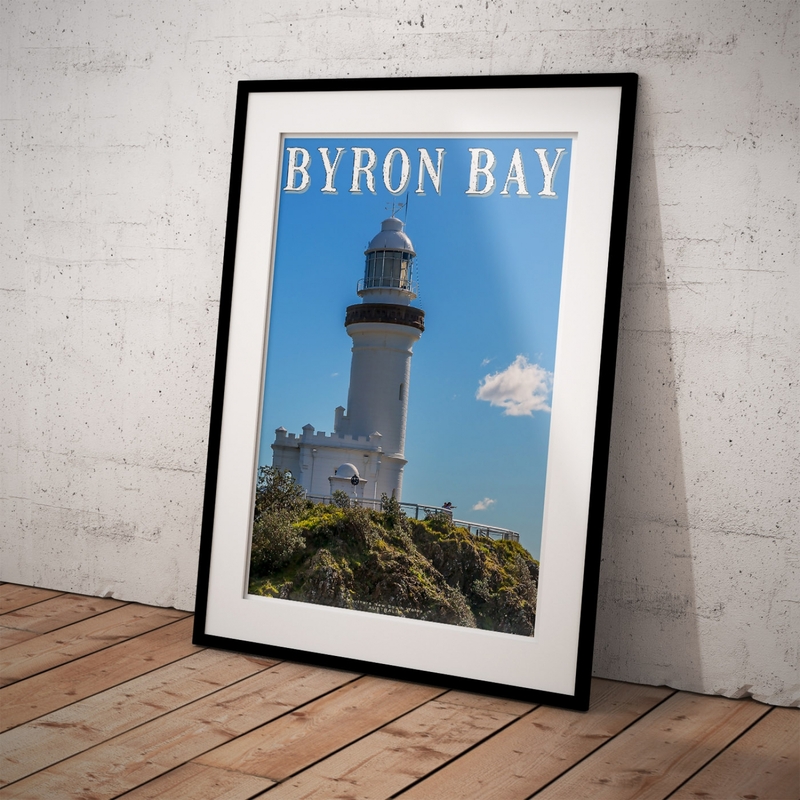 The unforgettable Cape Byron Marine Park, home to dolphins, turtles, rays and sea birds. 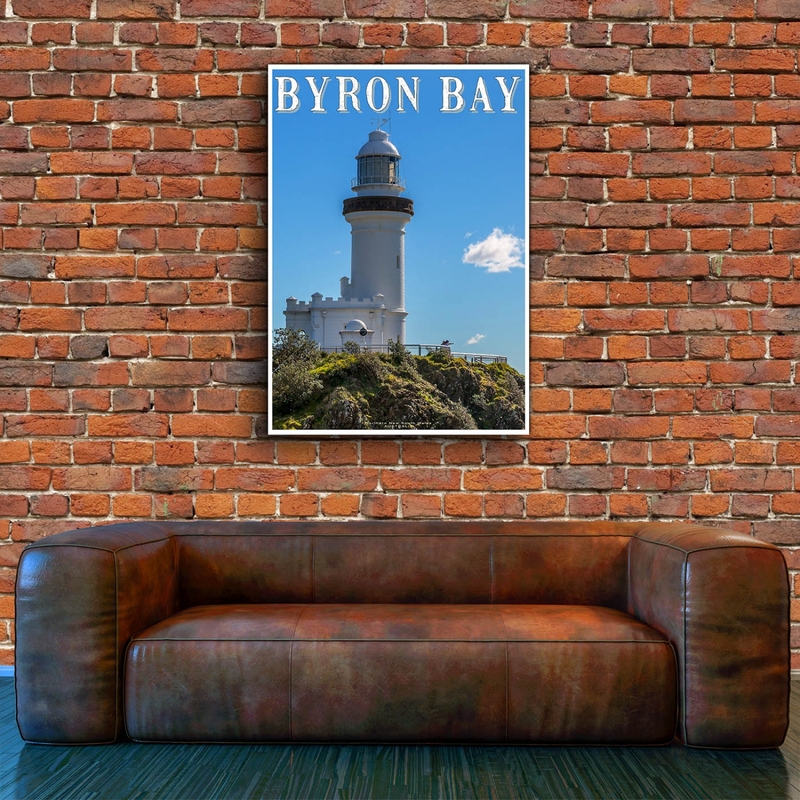 The Byron Bay Lighthouse poster is a reproduction of an original Photograph. Click here for more NSW Australia Posters.